Today is the 100th edition of Sunday Stamps on Viridian's postcard blog, and so therefore the task for participants today was to share something "special"... worthy of the centennial milestone. So, I have shared a lot of 'special' stamps on this here blog in the past, but today I thought I would whip out this sheetlet, which I didn't even realise I had until I found it amongst a miscellaneous box of 'stuff' at my parents house a few months ago. Therefore I don't actually know the provenance of this sheet - but I suspect it was a gift from one of my host families from when I did an exchange to Japan in 1999. 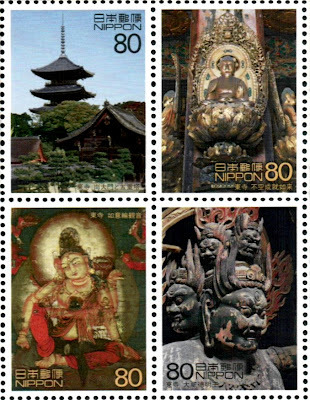 The ten stamps illustrate world heritage sites in Japan, several Shinto Buddhist temples, as well as some of the artworks that adorn the temples. It is a beautiful sheet. I think all the stamps are lovely, but I like the traditional Japanese image of a temple scene behind the stamps the best. I haven't been back to Japan since 1999, but looking at these beautiful temples makes me a little nostalgic, and definitely makes me want to return. If you would like to see what special-somethings other bloggers have found to share for the 100th edition of Sunday Stamps, click on the button below to find their blogs. Thank-you Viridian for continuing to organise Sunday Stamps every week, it is a lot of fun to participate in! I love these stamps. 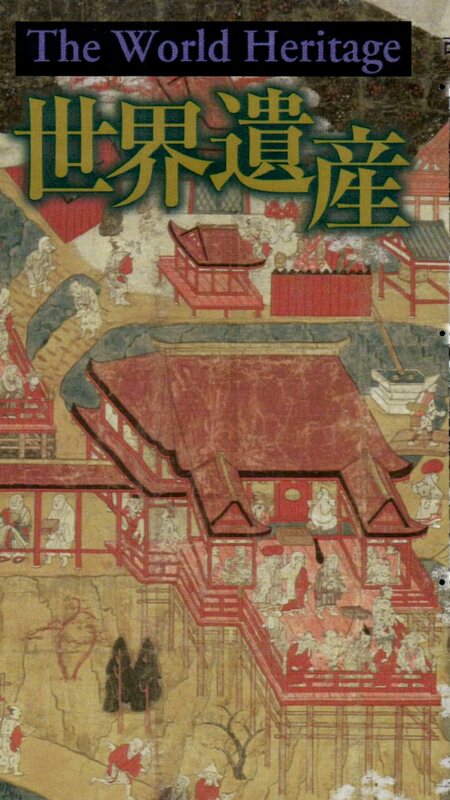 I'd love to visit Japan, the culture is s unique. 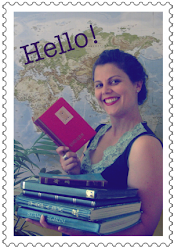 Thanks for sharing the stamps Helen. 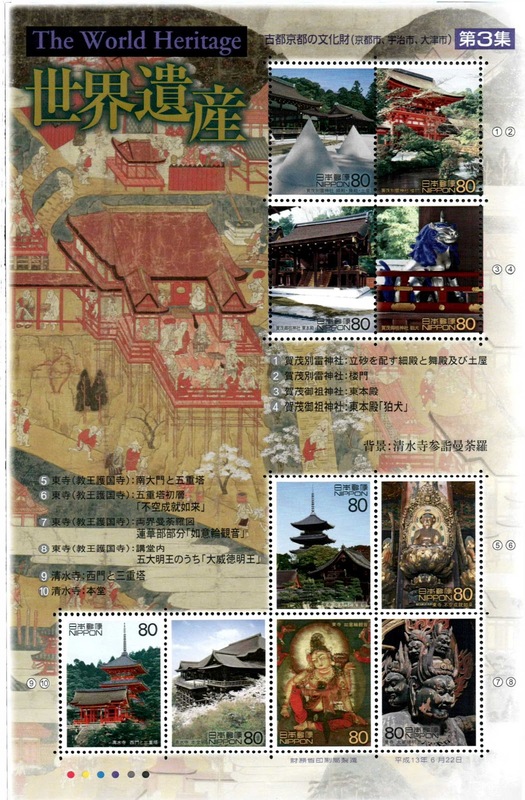 A beautiful set of stamps and mini sheet. I like specially the last two, but all of them are special. Thanks Hawwa! I found it hard to pick a favourite! A lovely gift. I like the the idea of highlighting a detail and then showing the whole temple. I have received one of these from another series but to see a full sheet is a treat. Oh wow - that is interesting that there is another series. 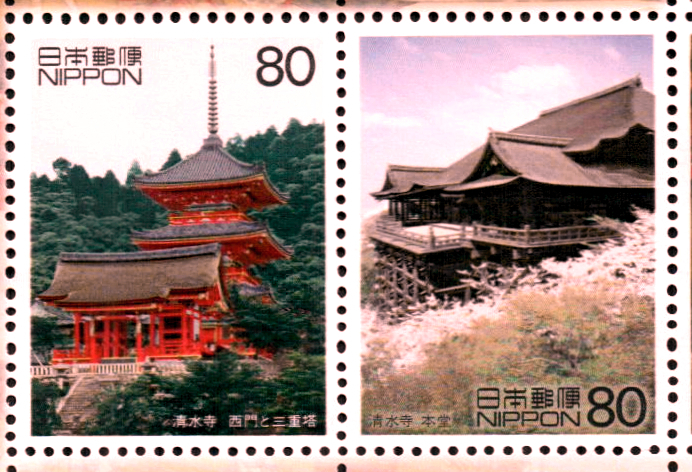 In general Japanese stamps are always quite beautiful, I think. Beautiful - every one of them. Thanks for showing them separately as well. love japanese culture, and the stamps are as stunning as ever! 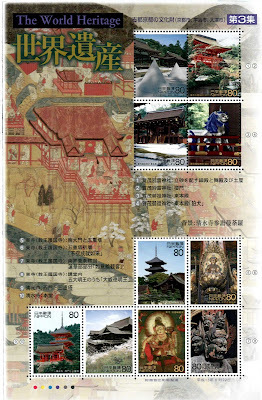 it is always lovely to see whole sheets of stamps like this...as a whole, they have something special about them, and nevertheless, the Japanese culture is more than special. I love the Japanese temples, both on cards and stamps. Lovely!! I like the temple scene best too. 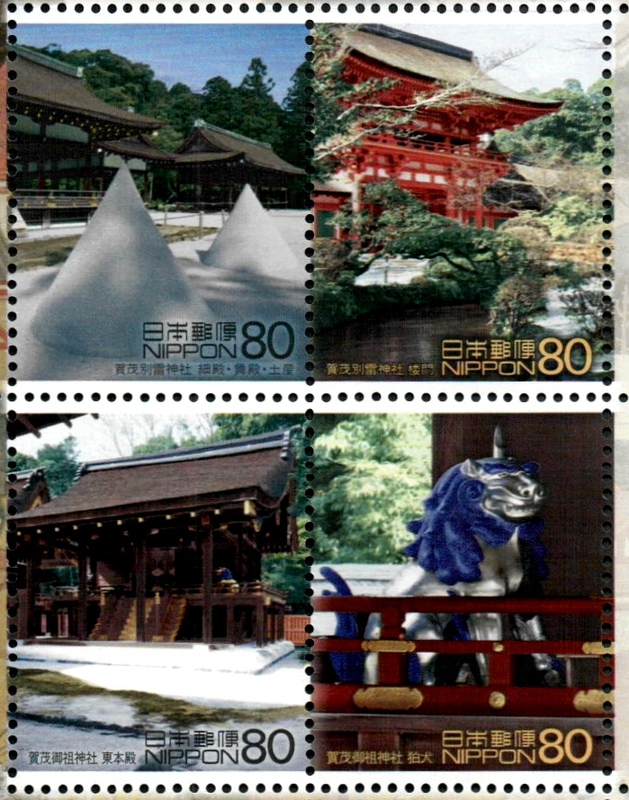 What a great idea to post a centennial stamps for the 100th post of Sunday Stamp.